I first met Michael Spradlin some years back at a wonderful Author Festival in Warrensburg, Missouri, sponsored by the University of Central Missouri. Though he was an old hand at this particular conference, he was very kind to first-timer me. I have followed his (prolific!) career and am pleased that he took time out of his busy writing schedule to visit with us today, in celebration of his new nonfiction series, Medal of Honor (Farrar, Straus and Giroux Books for Young Readers). During school visits, I often tell readers that I spend much more time researching than I do writing. I don’t know if that’s the case for all writers, but I suspect it is. My new Medal of Honor series is non-fiction, so I know I spend a great deal more time researching each book than I did writing it. 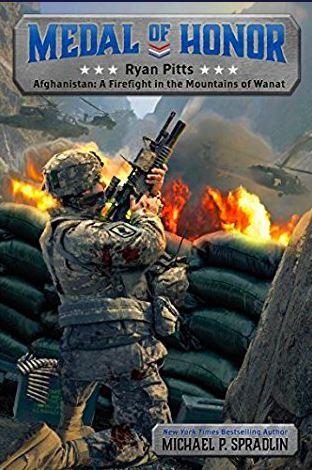 For the Medal of Honor book set in Afghanistan I was able to view film footage from the aircraft that flew close air support over the battle. You can see Taliban fighters moving around in the brush as they unleash machine gun and RPG fire on the base. The US Army has a video recreation of the entire battle that takes you through each moment step by step. It’s really remarkable. All of these details added together help make a much richer book. I feel like I can really bring the reader into the moment. And hopefully they will be left with the same sense of amazement that I am. What these men have endured is truly remarkable. They are heroes in every sense of the word, no matter how modest they may be. I’m not sure it’s a question that has an easy answer, but I’m always interested to see where the hero of my stories will go. 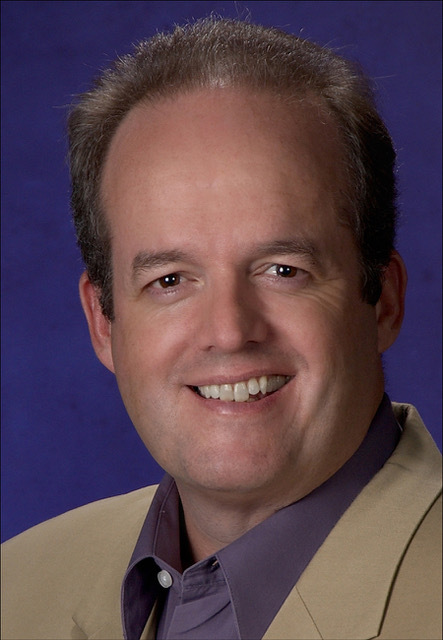 New York Times Bestselling author Michael P. Spradlin is the author of over thirty books for children and adults. His books include Into the Killing Seas, The Enemy Above and Prisoner of War. He lives in Lapeer, Michigan. To learn more about Michael visit him on Twitter, Instagram, Facebook or his website. The Medal of Honor series focuses on winners of our nation’s highest military honor. 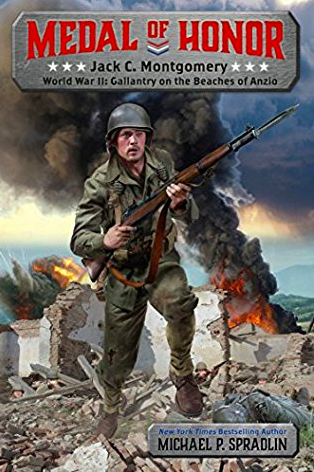 Each book provides a profile of a Medal of Honor winner. The books include maps, photos and interesting cross text which will appeal to reluctant readers.